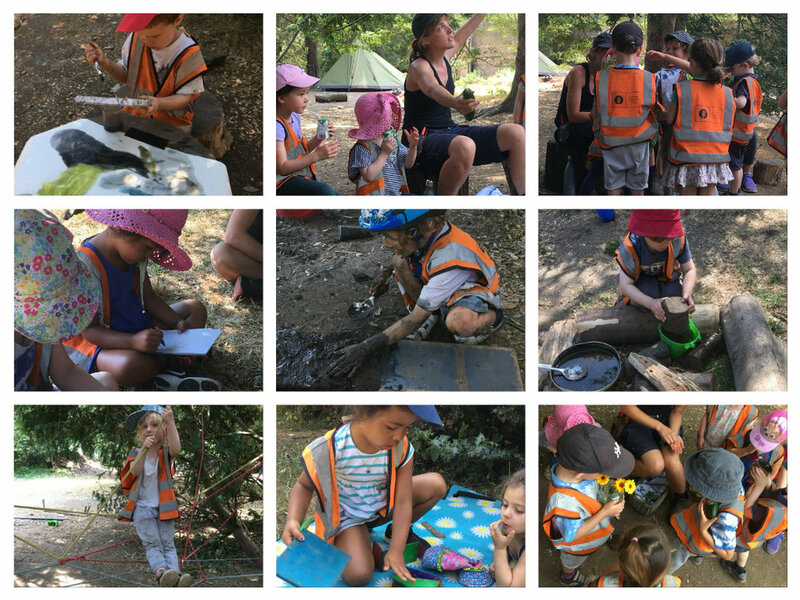 With the end of the school term comes the start of our Summer holidays in the forest where we have been welcoming many new children, and of course some of our regular Little Forest Folk-ers! As always it has been an absolute delight to see how quickly the new children settle into the environment and how comfortable they are with their new surroundings and new friends, this is definitely one of the incredible qualities of being outdoors. It has also been an exceptionally hot week so the forest has been adapted to provide plenty of activities in among the trees and under the shade of the tarps. With the added support of the Fulham Palace gardeners we have had a plentiful supply of water to keep the ever-popular mud kitchen in full flow and to occasionally spray our site, which has added a much-needed freshness to the air. The children have also enjoyed experimenting with the ice that we have been freezing into different forms throughout the week, nothing quite like making a snowman in 35˚C. Following on from our visiting Beekeepers last week the children invited the Palace gardeners to the nursery so that they could discover more about the walled garden and how they keep the plants and flowers growing in this hot weather. Alice, one of the gardeners, brought along a range of courgette plants at different stages so that the children could see how a plant grows from a seed, she was also pretty impressed that the children knew their courgettes from their cucumbers! It really has been a delightful week in the forest and we are looking forward to many more exciting activities and adventures over the coming weeks. Newer PostChiswick - Pirate Play!